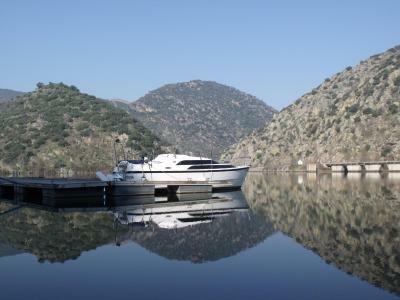 Lock in a great price for Douro Yachts & Chalets – rated 9.1 by recent guests! The view. The owner was amazing, took us on a boat ride on the beautiful river. Great food for the breakfast in the room with the amazing view. Great value, we will be back someday! Everything! 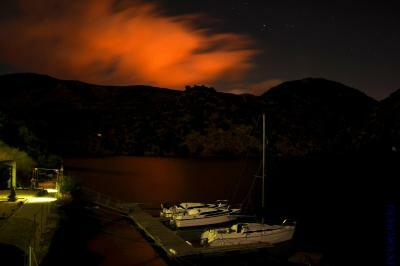 The location is awesome and the staff is very very very helpful and kind. I love to travel off season. The weather is still beautiful but there are no crowds. This place is ideal. Right on the river. I had a lovely little apartmento with a basket of goodies for breakfast. The staff was just so kind and friendly. Alberto was especially great. I want to come back again for a longer stay in this little piece of paradise. 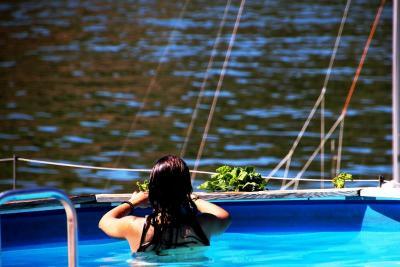 Overall a very good experience in staying in a sail boat. The staff was great. 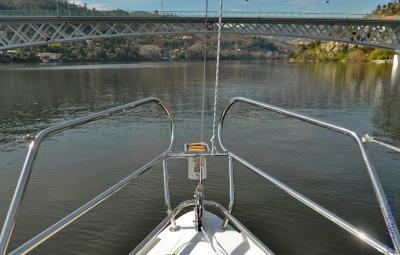 Excellent views and the sound of the river splashing the boat was just relaxing. 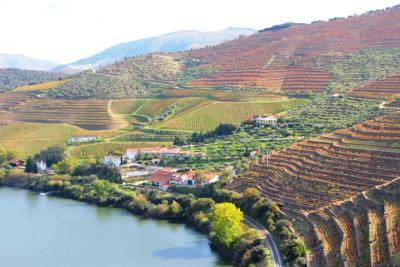 We had a very nice stay at Douro. This was our first day in Portugal and couldn’t wish it any better! 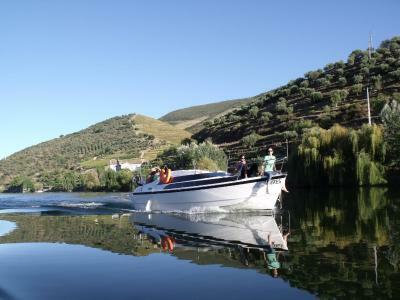 We rented the boat for 1 night and during the day, the son of the owner sailed us through Douro. Everything was very relaxed! Amazing get away location. If you are looking for solitude this is your place. 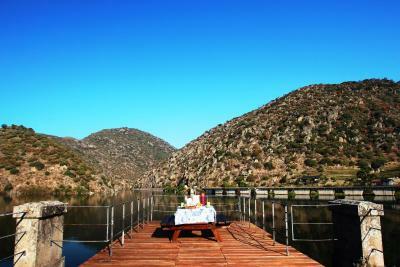 The pool and pier extending out into the beautiful Douro river was absolutely amazing. Go to the grocery store on your way to the chalet so you have proper supplies and enjoy the peace of the river. Wonderful Host, Absolutely incredible setting. An awe-inspiring experience. Thank you! Wonderful rustic accommodation, set in mesmorising scenery. Great value, including breakfast. Very pleasant host. One day was never going to be enough. Our next visit will be a lot longer. If there is one thing this stay has made me realise, it is that it can be a big bonus if your accommodation is a little out of the way. To think we would never have found this incredible spot if it was not for making this booking. 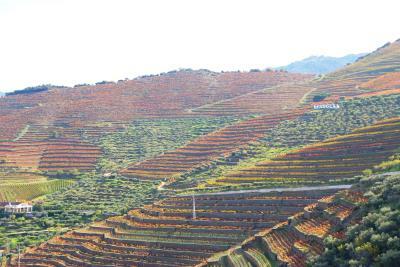 It might well have been the most scenic part of our trip to Portugal. 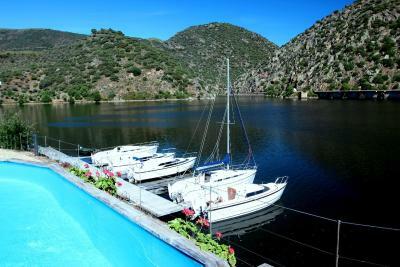 Our next trip might be by train from Porto and this time we might rent a yacht. This really is a destination in its own right. 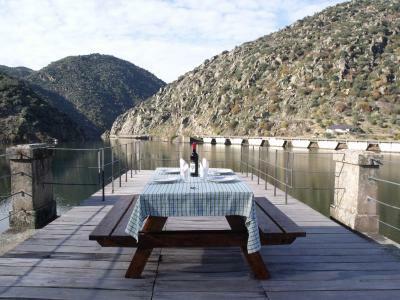 This is a cozy cabin with wonderful views of the Douro River (you are right at the shore), vineyards and train (across the river). 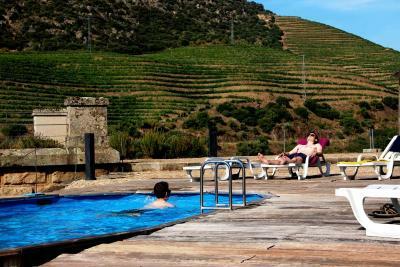 It must be heavenly in summer with the outdoor seating, BBQ facilities, swimming pool and the kayaks that are made available to guests. There are orange and kiwi trees right outside! 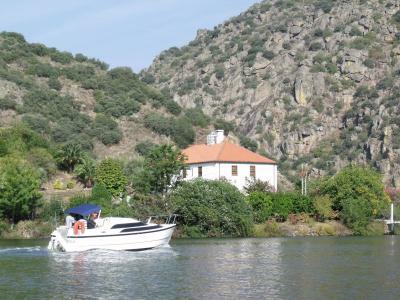 We had a wonderful tour and port wine tasting at Quevado, about 20 minute drive away in S. Joao de P.
Located on the banks of Douro River, Douro Yachts & Chalets features spacious chalets and a marina, where guests can charter either motor or sailing yachts. 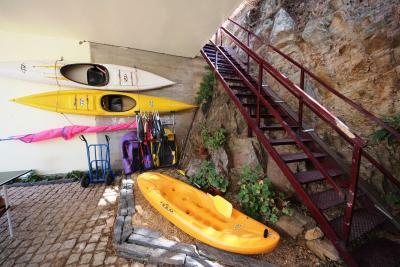 The property offers free use of kayaks and dingies to all its guests. 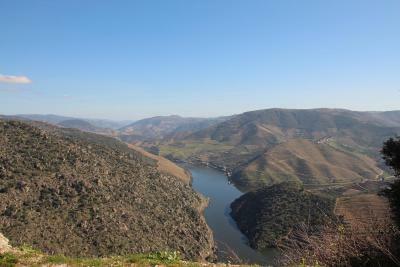 The unique guest units offer a dining area, a kitchenette and a stunning view of Douro’s landscape. A seating area with a sofa bed is included in all accommodations. Free WiFi is available and guests enjoy free onsite private parking. Guests of the Douro Yachts & Chalets can relax at the seasonal outdoor pool or enjoy water sports on the river, including sailing, canoeing and windsurfing. 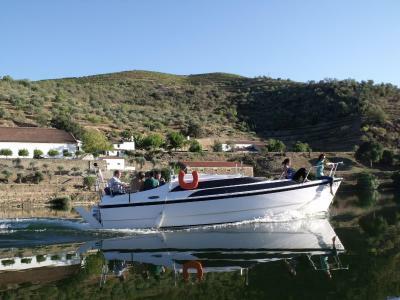 Supervised yacht cruises are also available to guests. 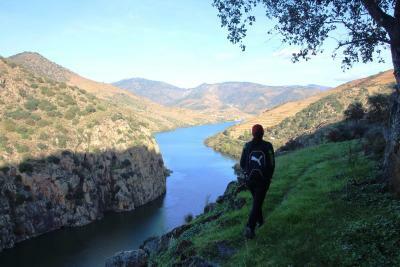 The surrounding area has several trails that are ideal for hiking. 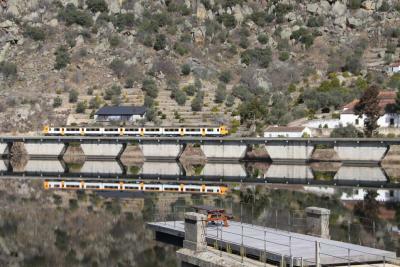 Douro Yachts & Chalets is 0.6 mi from Ferradosa railway station, which has direct trains to Porto. 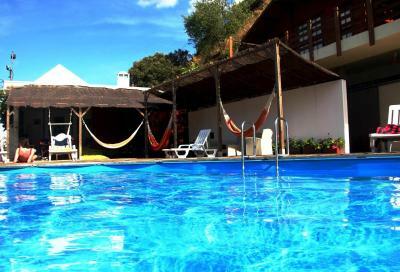 This property also has one of the top-rated locations in São João da Pesqueira! Guests are happier about it compared to other properties in the area. 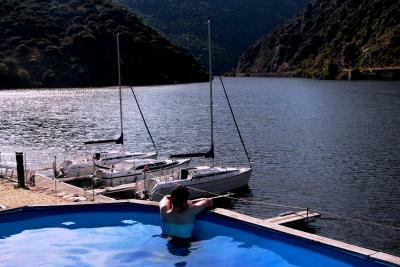 When would you like to stay at Douro Yachts & Chalets? 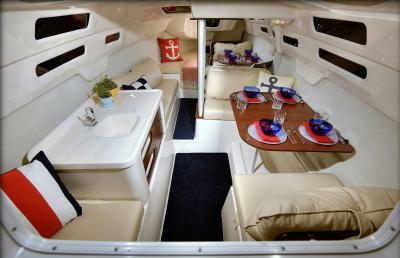 This is a 26-foot motor yacht located at the pier or on open water in the bay. Also includes a kayak or dingy. 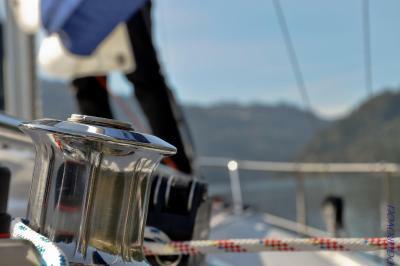 Licensed guests can sail out by themselves or hire a skipper. 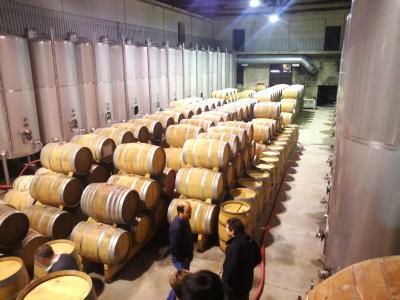 In both cases an additional fee of EUR 75 is applicable. This studio has no capacity for extra beds. 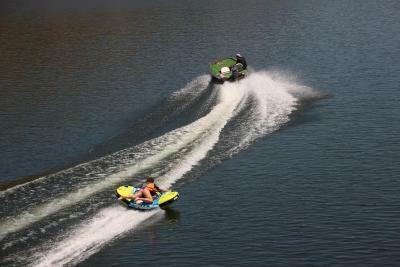 Guests have the option to book a Chalet on the Marina, with a full bathroom and a kitchen. 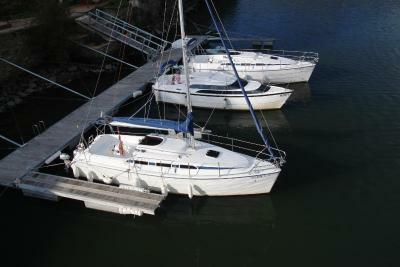 This is a 26-feet sail yacht located at the pier or on open water in the bay. Also includes a kayak or dingy. This chalet features a balcony, a kitchenette and a dining area. This bungalow has a balcony, barbecue and sofa. 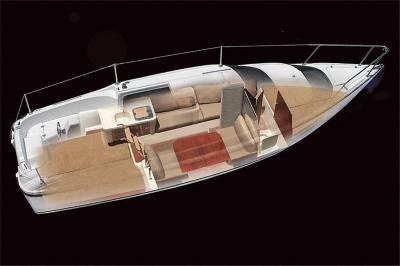 House Rules Douro Yachts & Chalets takes special requests – add in the next step! Douro Yachts &amp; Chalets accepts these cards and reserves the right to temporarily hold an amount prior to arrival. Douro Yachts & Chalets accepts these cards and reserves the right to temporarily hold an amount prior to arrival. 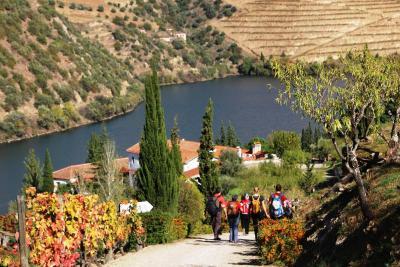 Portuguese Tourism Board Registration Number: 14279/AL. 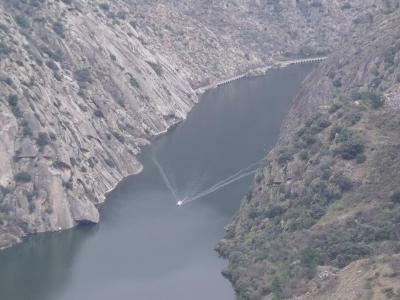 Please inform Douro Yachts & Chalets of your expected arrival time in advance. You can use the Special Requests box when booking, or contact the property directly using the contact details in your confirmation. Double bed against the wall. Not a big deal. Lighting in main room could be improved and a cutting board would be useful in the kitchenette. Well equipped house. The kitchen has everything you need for cooking. We were in December, relatively cold season, but there were a lot of radiators and electric fire, so the house was warm. Hospitable host of the hotel took us to a restaurant by his boat. Thanks for interesting experience. 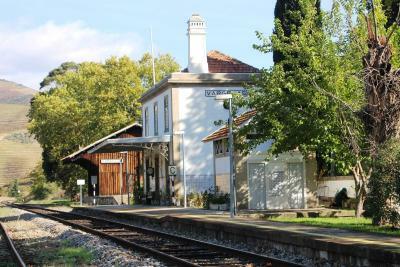 There’s a very cool restaurante 50m from the property but in the winter they close at 5h30 so if you want to go out for dinner you have to go to S. João da Pesqueira. When we arrived, the owner welcomed us personaly at the gate, despite the rain. 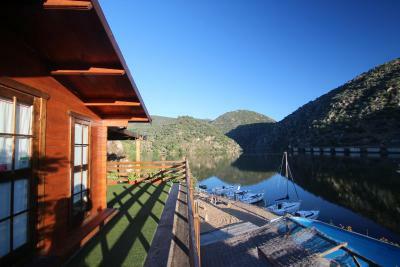 Amazing location next to the river, the chalet was very comfortable and the interior included everything for a nice stay. 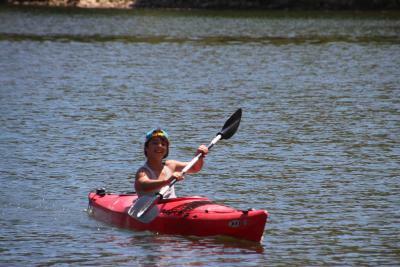 Kayaks for a trip on the river are for free, the surrounding environement is pefect for hiking. The cat of the house is amazing too (I miss him). We can highly recommend this place. The restaurant next door was not open for the 2 evenings during our stay. However, Jose drove us to a restaurant about 12kms away and he took us to the supermarket so we could stock up on supplies. We had our own bicycles to explore the area and it it was absolutely breathtaking. 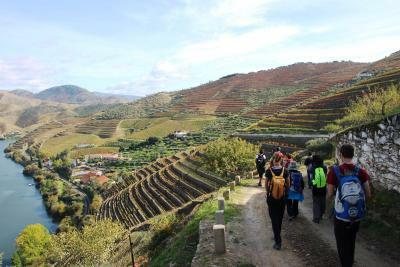 There was some very big hills to climb, but it was totally worth it for the quiet roads, stunning views and cycling through the vineyards. 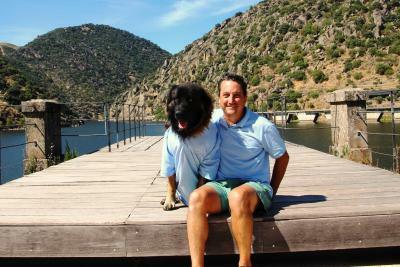 Jose was a great host, he was very helpful and understandably very proud of his little corner of heaven in the Douro. The accommodation was great. 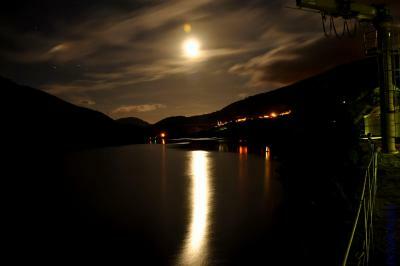 We stayed in a chalet which was very well equipped and in such a tranquil location. Fantastic accomodation in a beautiful area. There is everything you need, a cool self service bar, 100m away a nice restaurant with tasty foods. Highly recommended!